Item # 319789 Stash Points: 13,995 (?) This is the number of points you get in The Zumiez Stash for purchasing this item. Stash points are redeemable for exclusive rewards only available to Zumiez Stash members. To redeem your points check out the rewards catalog on thestash.zumiez.com. 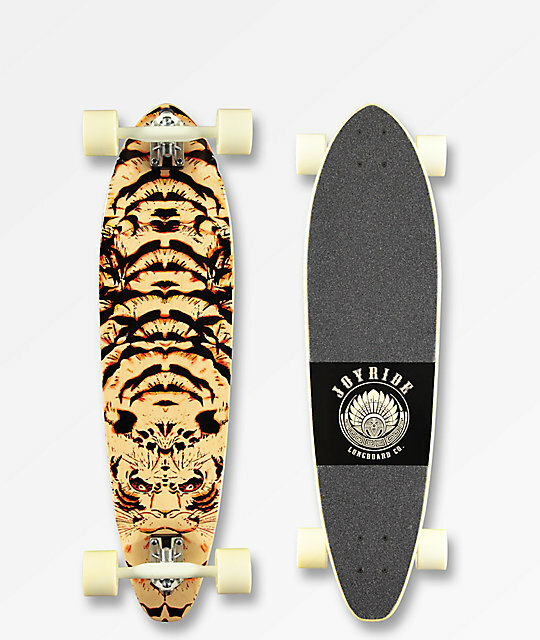 Cruise the town in smooth style on the Joyride Fluffy Squashtail 34" Longboard Complete. 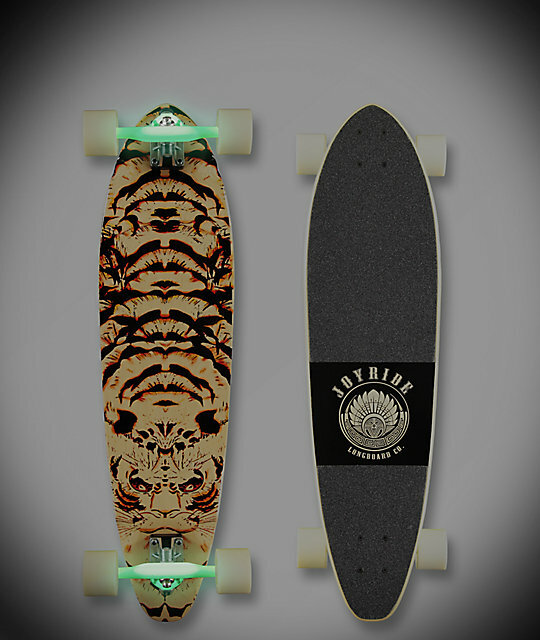 This board features a fluffy tiger graphic throughout the base for a wild look, and the mild concave profile is predictable and stable. 70mm, 80a wheels provide tons of grip and a smooth ride, while the abec 7 bearings within them carry speed perfectly. Fluffy Squashtail 34" Longboard Complete from Joyride.